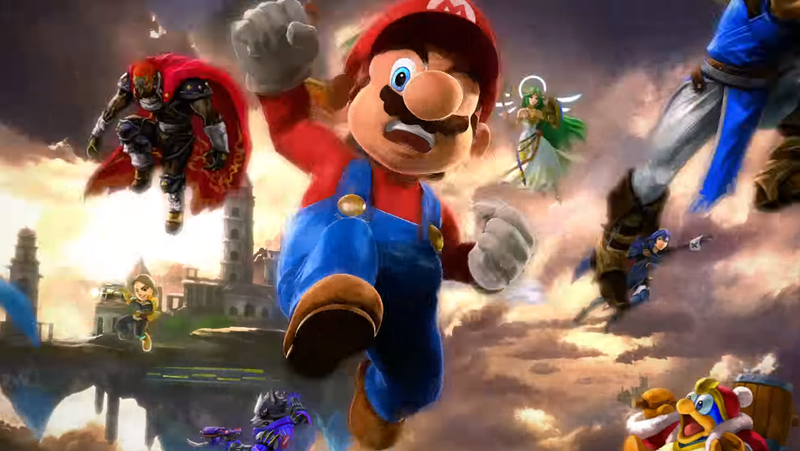 Over the weekend, Nintendo released a new commercial for Super Smash Bros. Ultimate without any background music. The internet proceeded to work its magic and there are now hundreds of different versions of the video floating around set to songs ranging from Prince’s 1991 to the Dragon Ball Z intro music. They all somehow work really well. At the other end of the spectrum is Linkin Park’s “Crawling” which, if you grew up in the 2000s like me, will take you back to all of those high school presentations in the auditorium where adults tried to talk to the youth about mental health and self care by splicing together footage from the Spider-Man movie with inspirational messages while blasting alternative metal. Someone even put in “So Happy Together”by The Turtles which is the song Nintendo originally used to introduce Smash Bros. to the world in the series first television spot back in 1999. Whether it’s DMX’s “X gon’ Give It To Ya” or Vanessa Carlton’s “A Thousand Miles” the Smash community’s latest meme has convinced me the game deserves some licensed music of its own. Sports games have been paying to incorporate real music for years, and sure, the legal hurdles and costs are a minefield but, I mean, it’s Smash Bros. I’m sure series director Masahiro Sakurai will be happy to add it to the list of features for the next game.